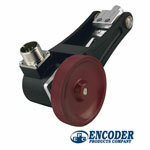 Encoder Products Company (EPC) is a leading designer and world-wide manufacturer of motion sensing devices. 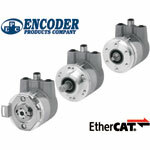 EPC began operations in 1969, producing a line of custom encoders (the original Cube series) from a small, home-based shop. Today, EPC is the largest privately-held encoder manufacturer in North America, producing the most complete line of incremental and absolute rotary encoders in the industry. Meeting the diverse needs of a wide range of global customers, EPC’s core philosophy is that each and every customer deserves quality products, superior customer service, and expert support. Adherence to these principals has enabled EPC to achieve its goal of maintaining long-lasting customer relationships. 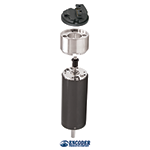 In our corporate headquarters and manufacturing facility in Idaho, our Accu-Coders™ are designed by our own engineers, assembled by skilled workers, and tested to our exacting standards by experienced Quality Assurance personnel. All right here in the USA.